We are officially holding classes at our new location. Yoga for health through the harmony of body, mind and heart. Meeting each person where they are, our teachers and members welcome the curious, the seekers, the beginners and the advanced. The stillness of our peaceful space, the encouragement of our teachers and the breadth of the practice options throughout each week offer a local studio growing wide and deep roots. 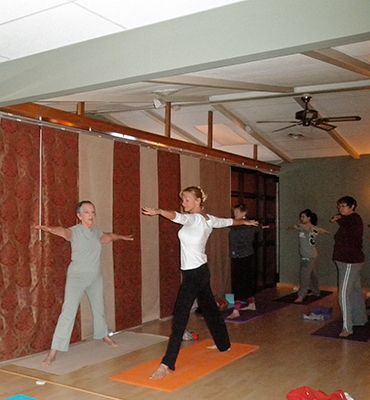 Created through the efforts of a group of aspiring, enthusiastic yogis and yoginis, Northville Yoga Center is a community based, hometown yoga studio. The mission of our collective is to open the door to Yoga, unite the body, mind and spirit through individual practice, awaken and enrich us and build community.